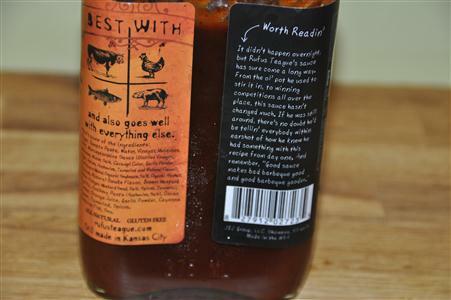 Like their other sauce, Rufus Teague’s Touch O’ Heat has some excellent attributes – Gluten Free, HFCS Free, no strange ingredients, has a cool flask shaped bottle, and has a cool character and backstory in Rufus. This sauce hits a soft spot with me. It’s one of the kinds I love – a not-too-sweet tomato based sauce with a little bit of heat that sneaks up on you. But don’t be fooled, this is far from your average Kraft-like flavor with hot sauce added. It’s got a lot of complexity – like a finely aged wine. The color is great – reddish brown color like a brownie with red highlights. 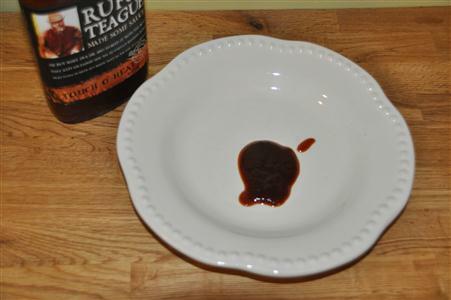 The taste is great – the most distinctive flavors to me are: molasses sweetened BBQ sauce, a strong, almost A1 steak sauce-style tang, and the savory/salty flavor of soy sauce. Mmmmmh, this one looks great ! 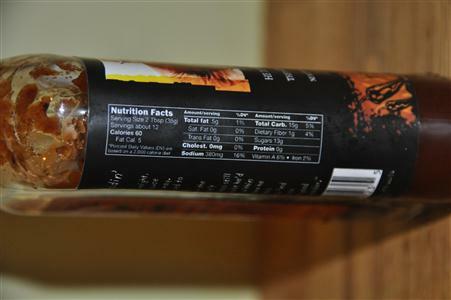 I love this sauce, the only downside is that my kids love it, too, and we go through it so quickly! My son will even dip carrots in it! I tried this BBQ sauce for the first time tonight in the whiskey maple flavor and omg I’m hooked!!!!! Love this stuff and I live it even more because its gluten free!!!! !